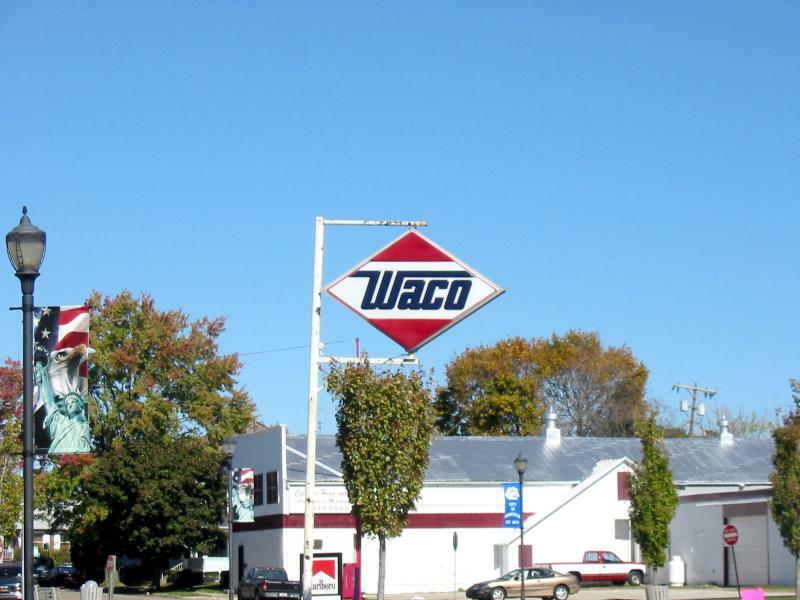 Waco sign, Brookville, OH. Gas station was a drive-thru. Sign is all that's standing.